A class-action agreement over tainted drywall could pay off plaintiffs with Lowe's gift cards. Lawyers in another large drywall case have attacked the settlement. Lowe’s Companies Inc., the nation’s No. 2 home improvement chain, has set off a legal firestorm by agreeing to a national settlement over tainted drywall in a class-action suit being decided in a Georgia state court. The $6.5 million settlement would pay relatively small amounts to individuals who had the tainted drywall in their homes. But the handful of attorneys who quietly negotiated the deal will receive a separate payment of $2.1 million. Victims will be compensated mostly in Lowe’s gift cards, offered in the amounts of $50, $250 or $2,000, depending on the level of documentation they can provide. Those who can prove they’ve suffered more than $2,000 in damages may also receive up to $2,500 in cash. Customers would not necessarily receive full refunds for the defective product they purchased. For example, someone who spent $10,000 on drywall would still only qualify for a maximum of $4,500 in cash and gift cards. Under the agreement, individuals would waive all legal rights to sue the North Carolina-based company for property damage or medical claims related to the drywall. The figures involved are small compared with what the federal courts have established as the general cost of repairing a home contaminated by defective drywall, which emits large amounts of sulfur gases that can corrode electrical wiring and trigger respiratory problems. The U.S. Consumer Product Safety Commission says the only way to repair such homes is to remove the drywall and electrical wiring, a job that can cost $100,000 or more. A Miami jury recently awarded $2.5 million in damages to the owners of a home built using drywall from a South Florida supplier. The class-action settlement would automatically apply to Lowe’s customers throughout the nation, unless they notify the Superior Court of Muscogee County, Ga. by Nov. 9 that they want to opt out. Those who don’t meet that deadline automatically lose their right to sue Lowe’s. The agreement won’t become final until it is signed by Superior Court Judge Bobby Peters, who has already given his preliminary approval. Peters will hear arguments for and against the agreement on Nov. 19. By that time, however, anyone who wants to opt out of the class action lawsuit must have done so already. Attorneys who are representing plaintiffs in the nation’s largest drywall case, which is focusing on drywall manufactured in China, have already attacked the settlement. Late Monday the lead attorneys filed a motion before U.S. District Judge Eldon Fallon, who is overseeing the multi-district federal case in New Orleans, asking him to block the Georgia settlement. They say the payments to victims are too small, the attorney fees too large and that the agreement “interferes with and erodes” the federal litigation and Fallon’s own authority to deal with the wide scope of the drywall problem. To back up their argument, they cite the Class Action Fairness Act of 2005 and a number of subsequent court decisions to establish that gift cards and coupons are not appropriate and often lead to the enrichment of attorneys at the expense of victims. At this point, the attorneys in the Georgia settlement say they have about 40 defective-drywall cases against Lowe’s. Some of their clients are also plaintiffs in the combined federal case, which involves thousands of homeowners, builders and suppliers. In e-mailed responses to questions, Lowe’s spokespersons said the company does not believe the drywall it sold was defective. They also said Lowe’s vendors have assured the company that they never sold it any Chinese drywall. Lowe’s “entered into this agreement as part of our commitment to serving our customers,” they said. Lowe’s officials declined to be interviewed for this story, and the company’s attorneys didn’t respond to phone calls and e-mails. The spokespersons directed questions about details of the settlement to Don Barrett, an attorney for the plaintiffs. Barrett, who led the settlement negotiations, commended the company for “stepping up to the plate” and disputed criticisms aimed at the deal. “It’s been obvious to us in our aggressive negotiations that they are concerned about their customers and their own reputation,” said Barrett, who was on vacation and consented to only a brief interview. Barrett said the drywall that the lead plaintiff in his case bought from Lowe’s has no markings to signify its origin. The settlement has touched a nerve with lawyers who are pursuing the growing issue of American drywall that appears to be causing the same corrosion and health problems as the defective Chinese drywall. 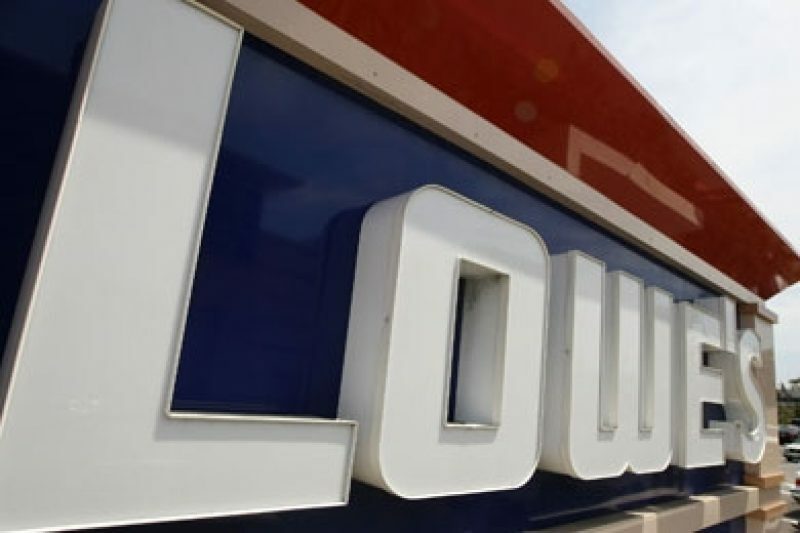 They said the Lowe’s settlement could set back efforts to determine the scope of U.S. cases and shield Lowe’s from having to disclose critical information they are seeking. Gary said he believes the settlement was designed to do one thing – seal off Lowe’s from any liability over all the drywall it has ever sold, before more homeowners can come forward. Under the agreement, Lowe’s customers will not receive notice of the settlement in the mail, the traditional method of contact in class-action cases. Instead, Barrett said the plaintiffs will hire a company to set up a website and place ads in publications like Parade Magazine. He said notices will also be placed at the bottom of receipts received by customers shopping at Lowe’s. Lowe’s has not provided a list of its drywall customers to Barrett and his associates, and a company spokeswoman would not comment on whether such a list will be produced. ProPublica and the Herald-Tribune found that the settlement already is causing confusion among plaintiffs in the federal drywall litigation. Antione Carter, a 73-year-old Slidell, La., resident and his wife used drywall from Lowe’s to rebuild their home after it was destroyed by Hurricane Katrina in 2005. Since then, they have had strange air conditioner and microwave failures, and last year an inspector said their problems were consistent with bad drywall. Carter’s case has been handled by two firms, one in Texas and the other in Louisiana. He said one of the attorneys called him last week, told him about the agreement, and said he had 30 days to find another attorney or drop his case against Lowe’s. But a document filed with Judge Fallon’s court on Friday by David Matthews of Matthews & Associates of Houston indicates that Carter’s claim against Lowe’s has already been dropped. Julie Rhoades, a colleague of Matthews whose name is also on the document, said Christopher Coffin, who is handling Carter’s case in Louisiana, had arranged for Matthews’ firm to file the document for Carter and Matthews’ other clients who had filed lawsuits against Lowe’s. Coffin did not immediately respond to calls for comment. Carter said he had not given anyone permission to drop his case. Carter said he is afraid that he’ll be left to fend for himself. “We’re just in the dark here. We don’t know what’s going on,” he said. Coffin’s firm, Pendley, Baudin & Coffin LLP, is also representing John Grissom, a Monroe, La., resident who used drywall from Lowe’s to build his home in 2006. Grissom was also surprised to learn that Matthews & Associates had filed documents on his behalf in Fallon’s court on Friday. In his case, however, the documents said he was dropping his lawsuit against his builder, not Lowe’s. Rhoades, Matthews’ associate, told ProPublica and the Herald-Tribune it was possible that some other attorney involved in the case had mistakenly included the name of Grissom’s builder, rather than Lowe’s, when the document was drafted. “Absolutely not,” Grissom said when asked whether his attorneys had his permission to drop his claims against anyone. He said he did not know anything about the Georgia agreement until he was contacted by ProPublica and the Herald-Tribune. Under the proposed Georgia settlement, people who bought defective drywall from Lowe’s are eligible for three levels of compensation, depending on their record keeping and proof of damage to their home or health. To receive the maximum amount —a $2,000 gift card plus $2,500 in cash — they need a receipt or a credit card statement showing that they bought drywall at Lowe’s. They must also prove through an independent third party that they have more than $2,000 of damage to their home or more than $2,000 in medical bills. It is not clear what qualifies as “independent” proof. It’s also unclear whether they must already have spent money on remediation or doctor’s bills, or if they can show they’ll need to spend it in the future to remedy the problem. Customers who have a receipt but can’t supply independent proof of damages are eligible for a maximum of $250 in Lowe’s gift cards. Those who have neither proof of damages nor proof of purchase, but claim their drywall was bought at Lowe’s, are eligible for a $50 gift card if a settlement administrator hired by the plaintiffs determines that those claims are valid.